Recently, PG/VG magazine made a comparison of the opinions between beginners and experienced vapers, which shows that there is a great difference between them and provides suggestions for beginners. Which type of e-cigarette to buy? 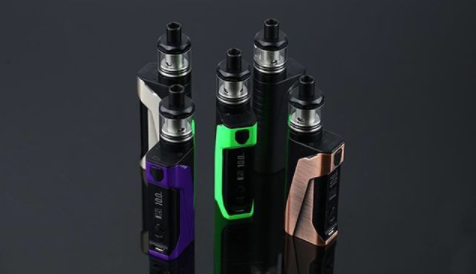 E-cigarette can be divided into three types, cigar-like e-cigarettes, EGO e-cigarette and mod e-cigarette. For beginners, more than 80% of them shows their preference to the former two e-cigarette. For experienced vapers they prefer mod e-cigarette, which accounts for 77%. The results can provide suggestions for both e-cigarette manufacturers and newbies in the production and choice of e-cigarettes. Can e-cigarette help quit traditional smoking? The survey shows that e-cigarette, as a replacement for traditional cigarettes, can largely replace the traditional cigarette. Judging from the results, beginners who only use e-cigarette and who use e-cigarette and traditional cigarette occupies similar percentage. However, around 92% of experienced vapers only use e-cigarettes. From the result, we can come to the conclusion that if vapers use e-cigarette for a longer time, e-cigarette can take the place of cigarettes to a large extent. Which nicotine content of e-liquid to choose? For beginners, 66% buys higher nicotine content, which is over than 16mg. However, 74% of experienced vapers prefer nicotine content less than 10mg. This result suggest that nicotine content of 6mg can meet the needs of most vapers and there is no need to buy much e-liquids with high nicotine content. How much VG/PG percentage to choose? VG and PG percentage can influence the thickness of vapor and throat hit feeling to a large extent. For newbies, only 9 percent prefer high VG percentage compared with 46% of experienced vapers. While for high PG percentage, 36% of newbies shows their preference while experienced vapers only accounts for 7%. E-cigarettes of similar PG/VG percentage nearly the same for newbies and experienced vapers, which are respectively 36% and 37%. The result shows that many new beginners will prefer e-cigarette with strong throat hit feeling, while for experienced vapers, they show their preference to e-cigarettes with gentle tastes.